The Irish Sky Garden Crater is strange thing in first glance. 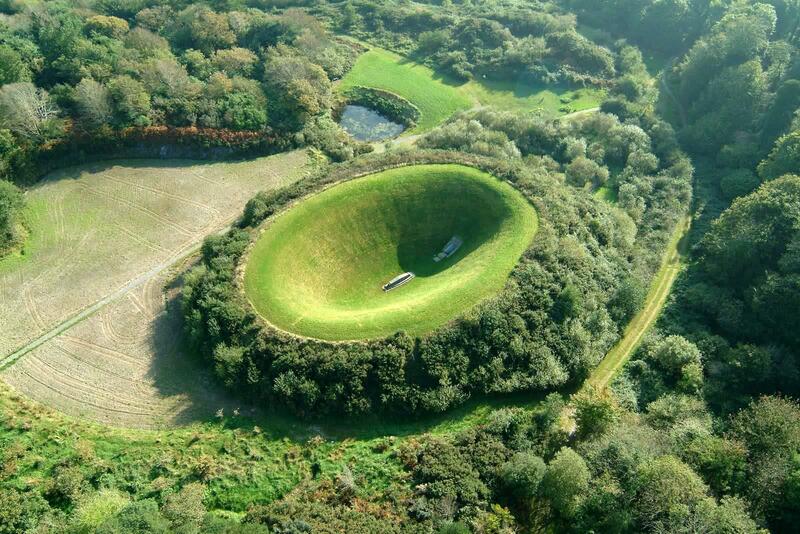 The massive in scale landscape composition was created by American artist James Turrell. 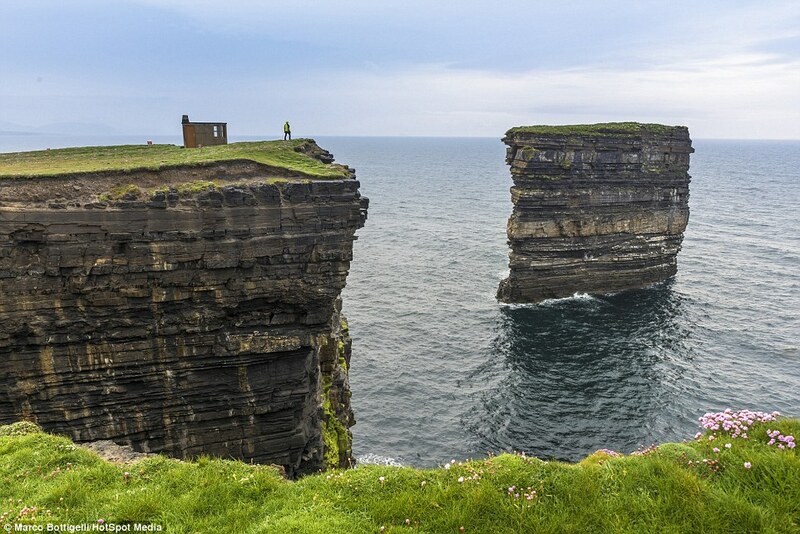 This exclusive minimalistic garden is situated in the Irish county of Cork. 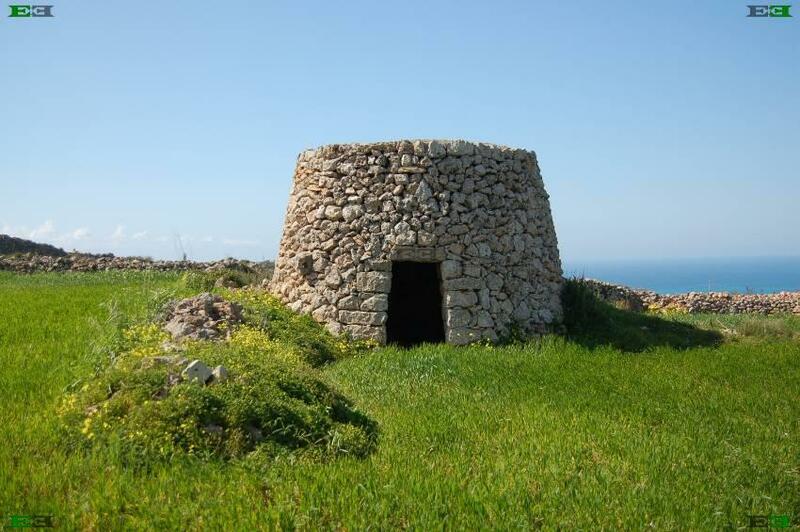 It is a kind of natural observatory, and anyone can become a visitor. However, the artist’s concept implies privacy, surveillance and meditative immersion. 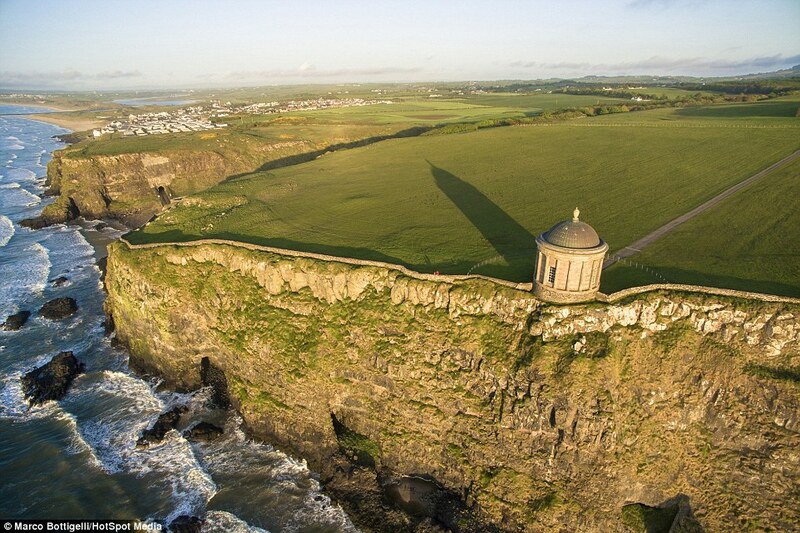 You won’t believe that this is an artificial landmark; however, it mightily attracts the eye! 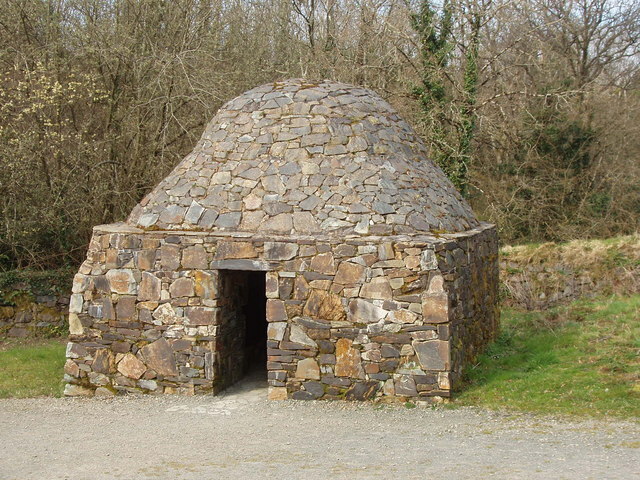 James Turrell refers to the pleiad of the Californian conceptualists, in the late 1960s have declared that an object as a piece of art was a passed stage. They started to develop space projects based on the optical effects. 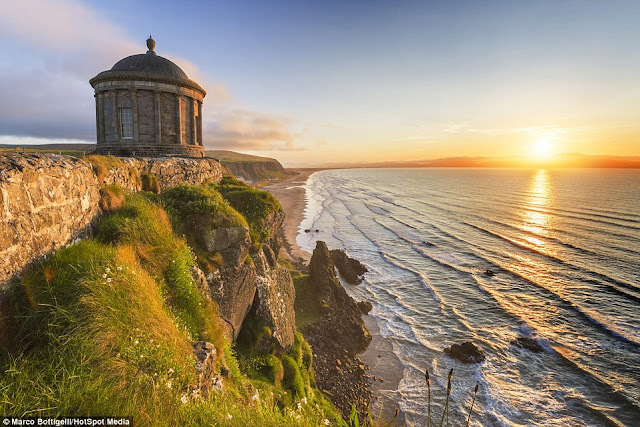 They were interested, in the phenomenon of the direct or the flowing in time visual perception, feelings of pure sensory experience and instantaneous discovery through the monitoring process, and a mechanical search of the facet where the reality differs from the visibility. 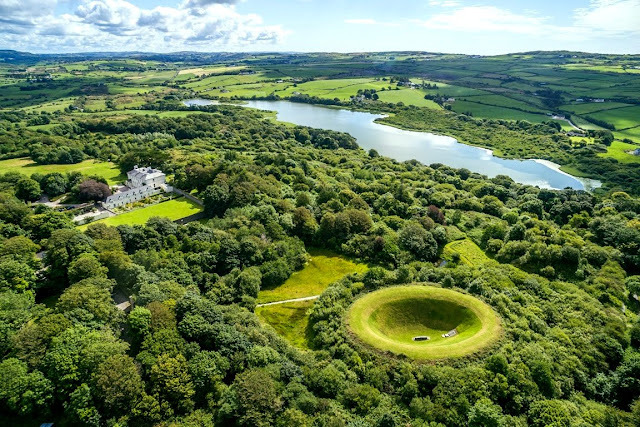 Therefore, the Irish Sky Garden is one of a conceptual series of installations formed on the principle of “open sky” called Skyspaces. 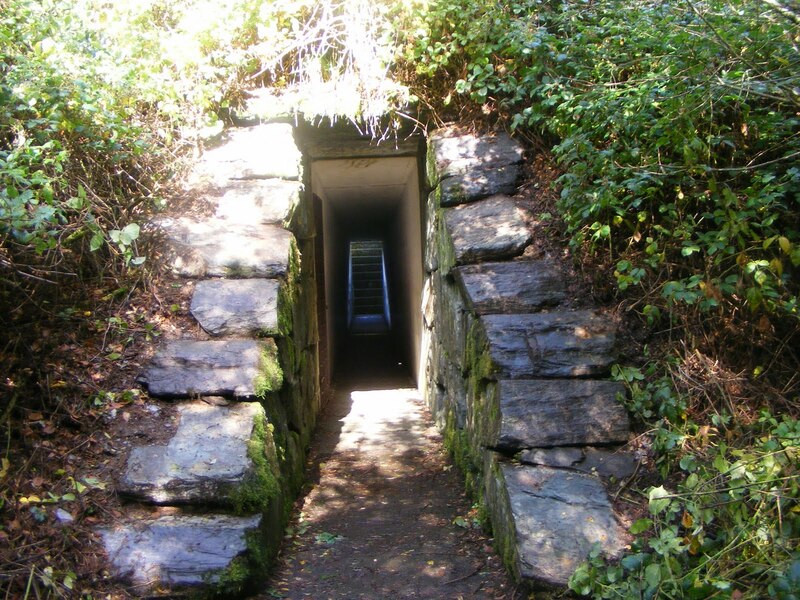 The essence of the installation offers visitors to get inside through the black tunnel, going towards the bright light, symbolizes birth and gives the spectators a charge of optimism. 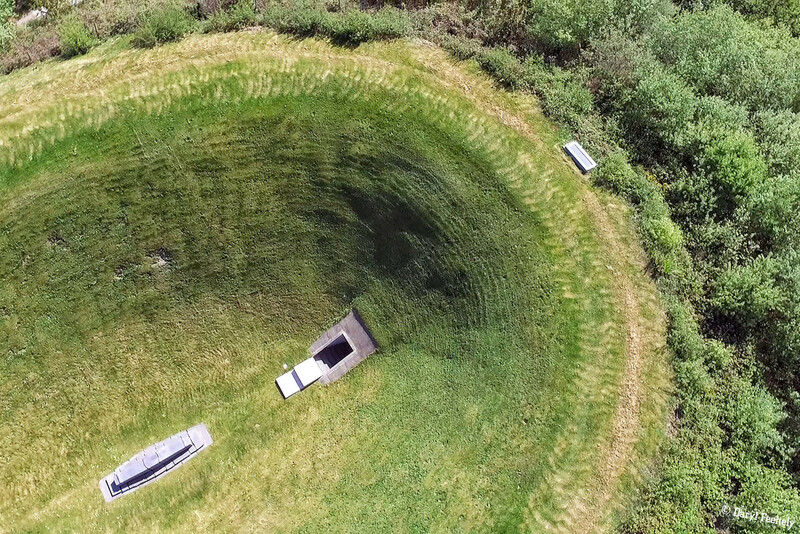 The Irish crater has depth of 13 meters. 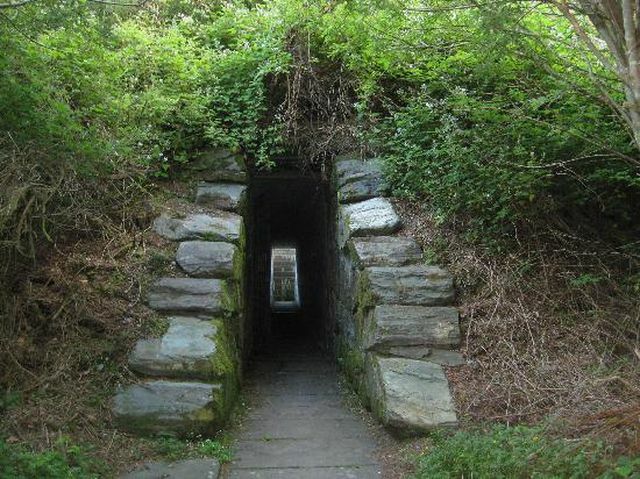 The henge type stone arch signifying the first transition or birth, from a gladed wood with a pond through a long womb like structural passage before a steep climb up some steps into the still and silent, oval, bowl shaped interior which measures 50 mtrs x 25. Thus, upon entrance, the bottom of the crater has a stone in the center, and one can actually lie on the stone and watch the horizon, appreciate and enjoy the “celestial vault”. 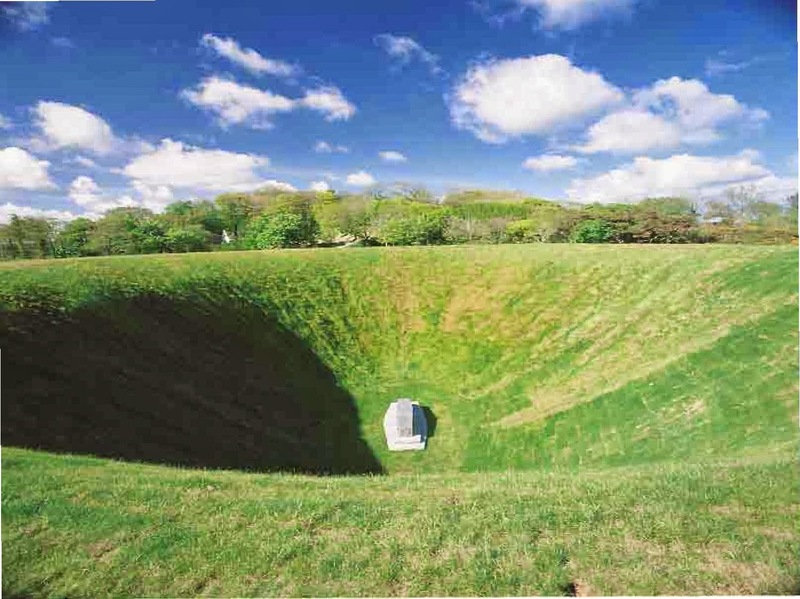 The walls of the crater overlap your peripheral vision, and thus it emphasizes the “infinity and variability of the sky.” James Turrell considered to be the greatest American Land Art Artist, actually likes the manipulation of light, because it is his main tool and material. The talented artist has turned the crater into a huge naked – eye observatory, has made the studio from the sky. His mastermind lies in the fact that he sees the beauty in the simplicity of the idea and the complexity of the construction at the same time. Every element has been prudently designed to seem natural. An Italian photographer Marco Bottigelli (35) has captured the beauty of the Irish coastline in a stunning series of landscape shots. 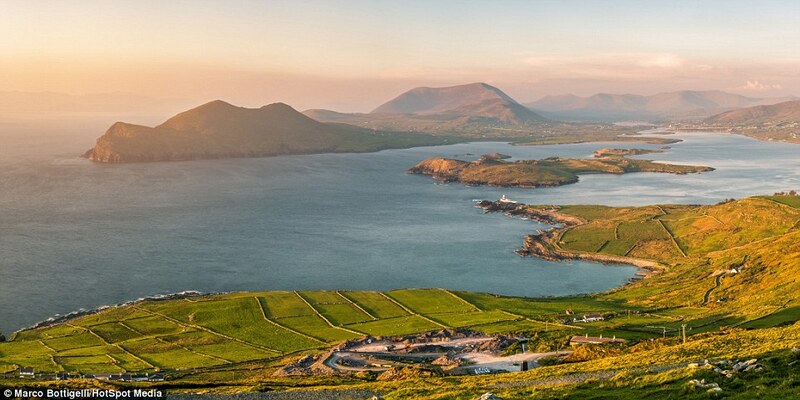 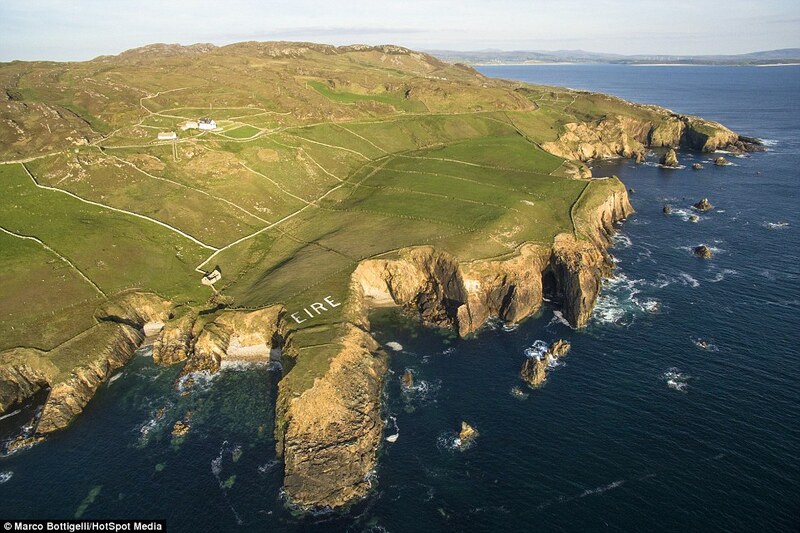 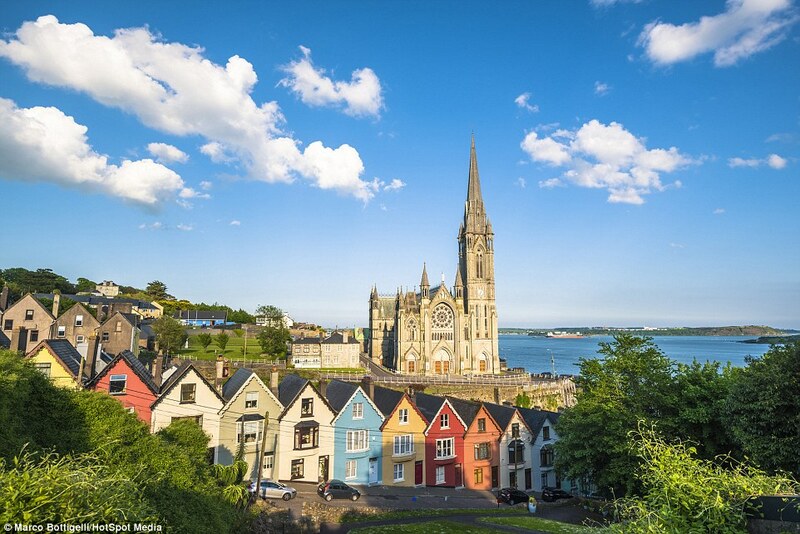 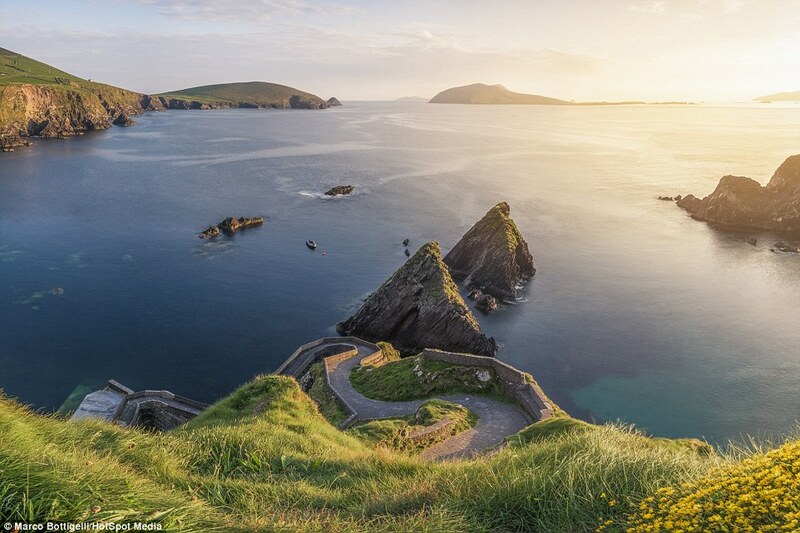 So, there is no wonder Irish eyes are smiling with landscapes like these! 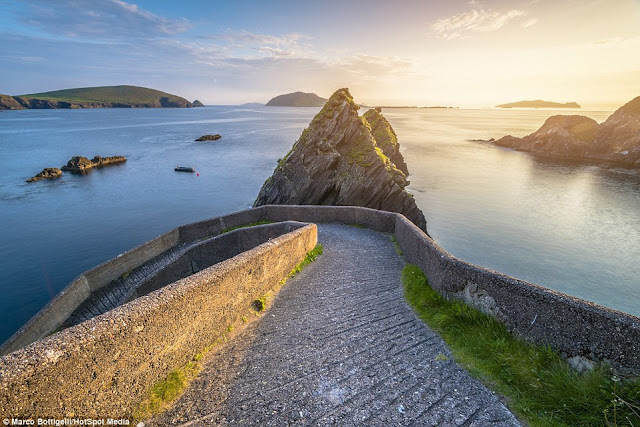 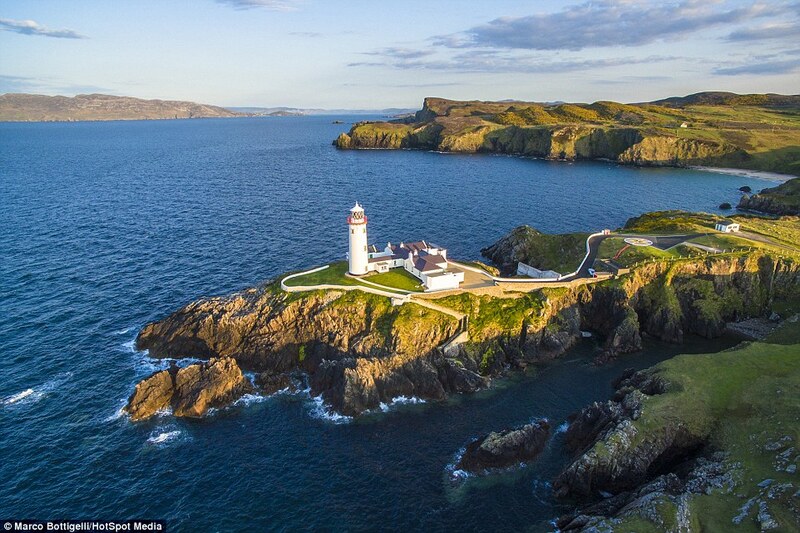 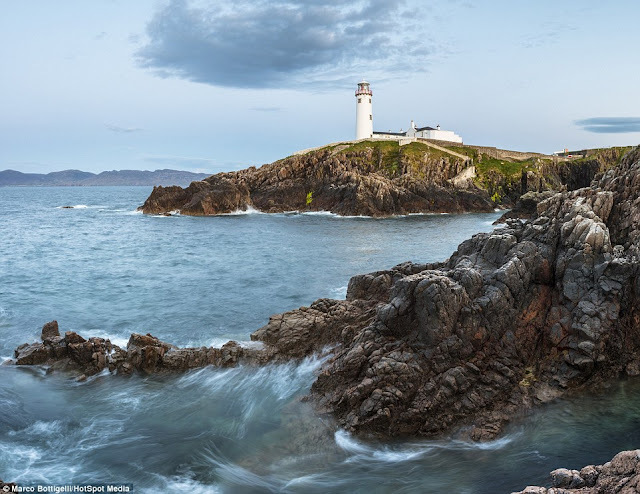 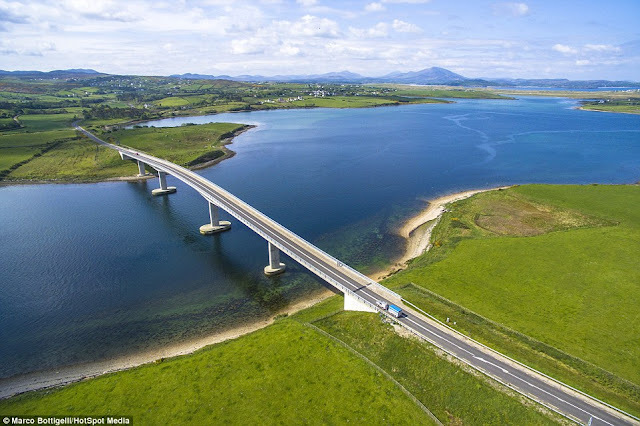 Implausible photographs taken on a 1,200-mile road trip capture the exquisiteness of the Emerald Isle's coastline, blanketed in wild flowers and dotted with castles and lighthouses, there really is nothing quite like Ireland's coast. 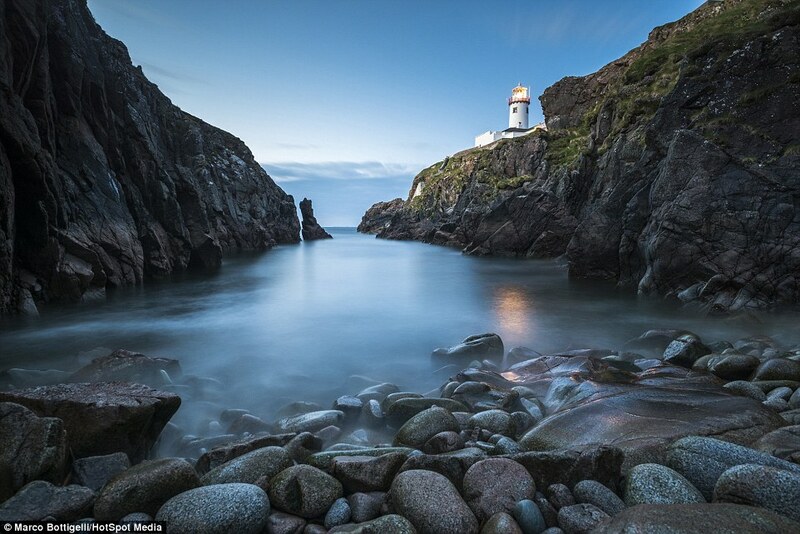 The photographer captured the country's unbelievable beauty as he travelled from Dublin to Kerry. He covered more than 1,200 miles; full breadth of the landscape's changing climate, nature and terrain. 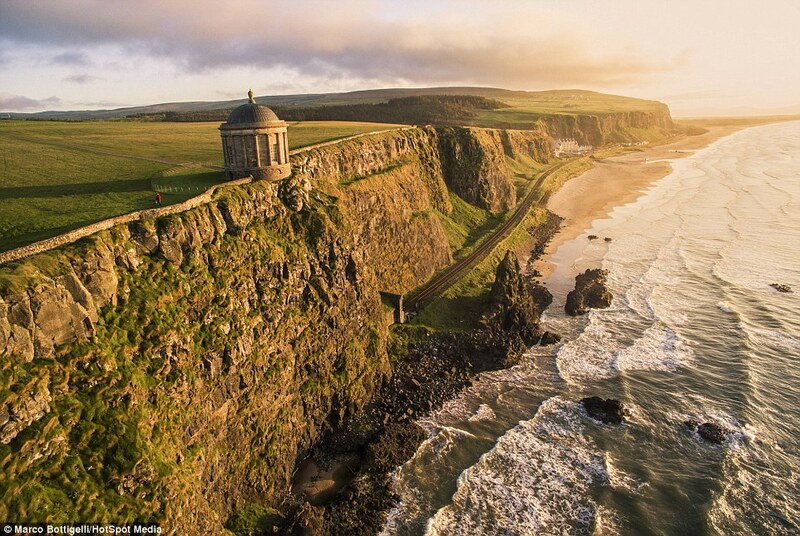 From the towering Cliffs of Moher to the hexagonal columns of the Giant's Causeway, he photographed the lovely coastal scenery of the Republic of Ireland and Northern Ireland. 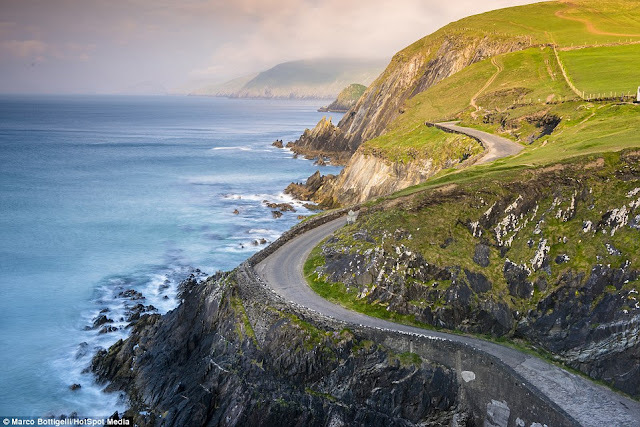 Moreover, he wanted to create some inspiring collection of this part of world, and for that purpose he drove more than 1,200 miles around the Irish coastline while admiring the scenery and waiting for picture-perfect weather conditions. 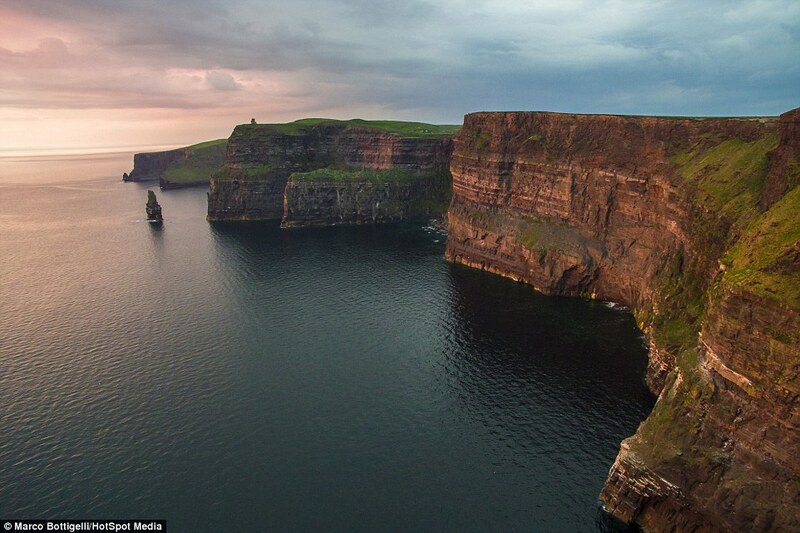 Ireland has always been one of the most fascinating lands in Europe. 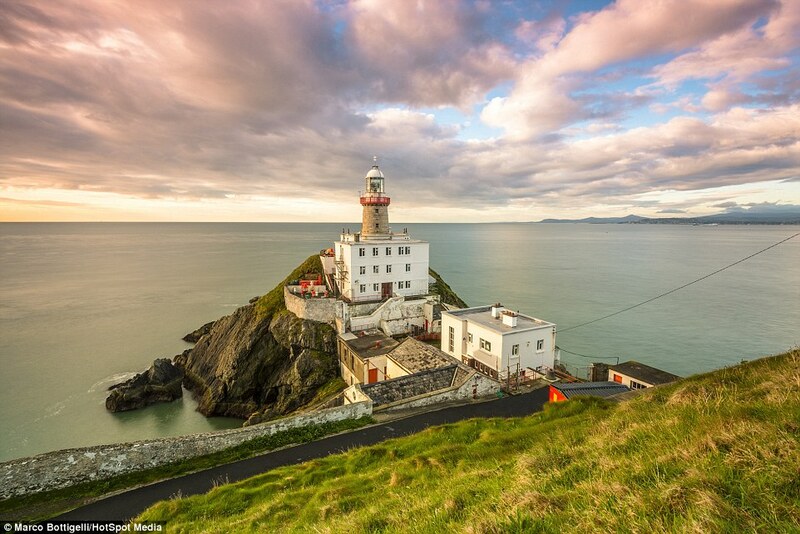 The country is wild and welcoming all at the same time, natural landscapes, picturesque lighthouses and castles. The Ireland landscapes are truly unique and a dreamland for photographers. 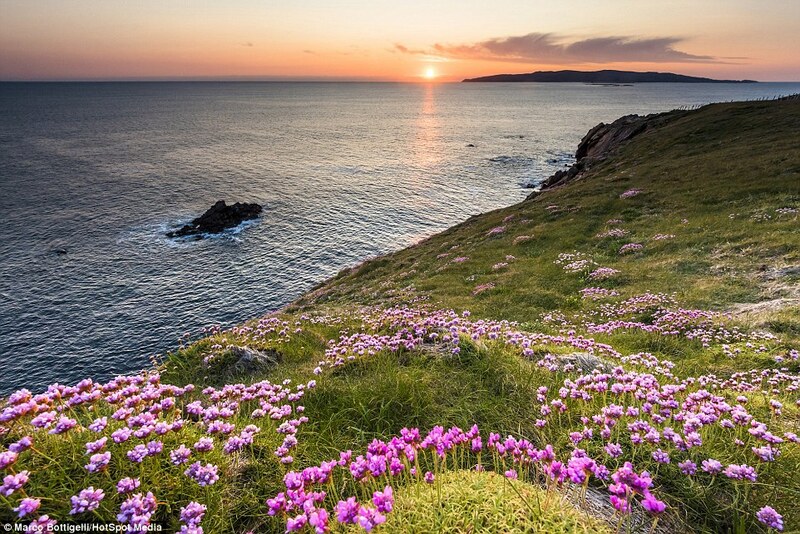 He said; many times, I’ve to wait for several hours for right lighting, and when it finally comes I get a deeper feeling of joy. 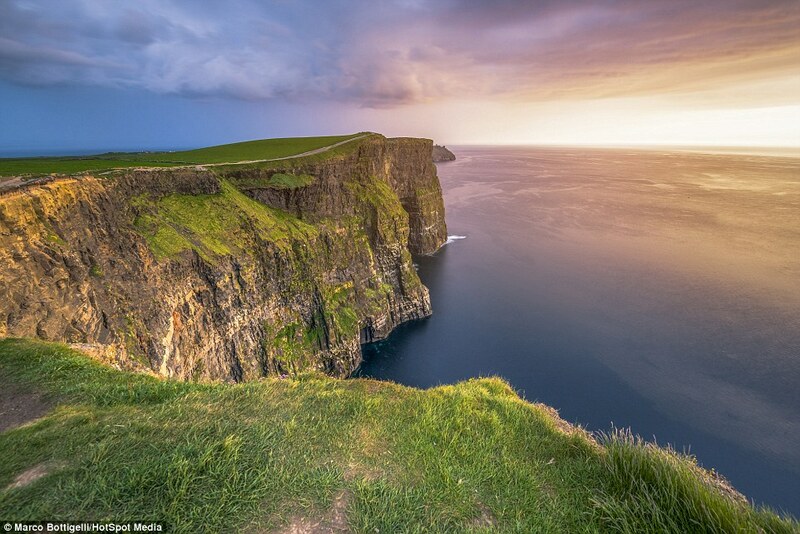 However, sometimes, the gloomy skies never clear which can leave a feeling of disappointment. Therefore, it is almost a sense of adrenaline in landscape photography with the ever changing weather. I always try to set my goal to create emotions through my landscape photography and to inspire others to realize our valuable environment. Newgrange; is a famous prehistoric monument in Ireland, located one KM north of the River Boyne. 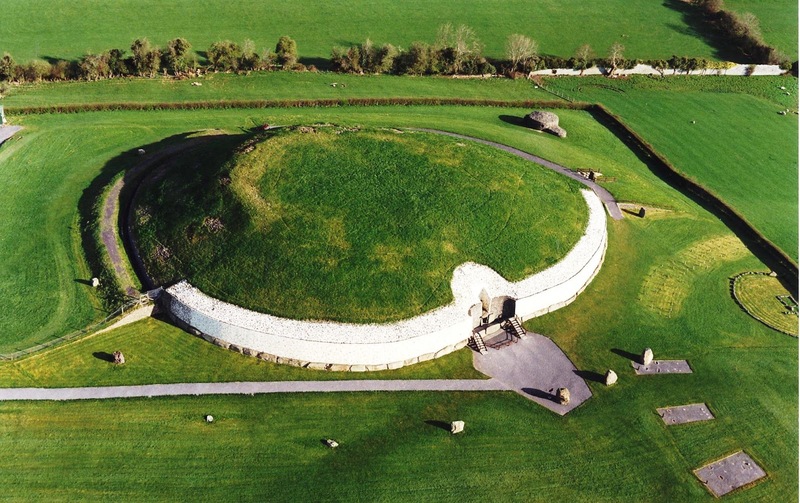 The Stone Age monument built somewhere Neolithic period around 3000 BC to 2500 BC, making it older than English Stonehenge and Egyptian Pyramids. The Newgrange is a large circular mound with a stone passageway and interior chambers. The Newgrange is actually a man-made mound 85 metres in diameter and 13.5 metres high, along with a 19 meter passage which leads to a chamber with 3 alcoves. 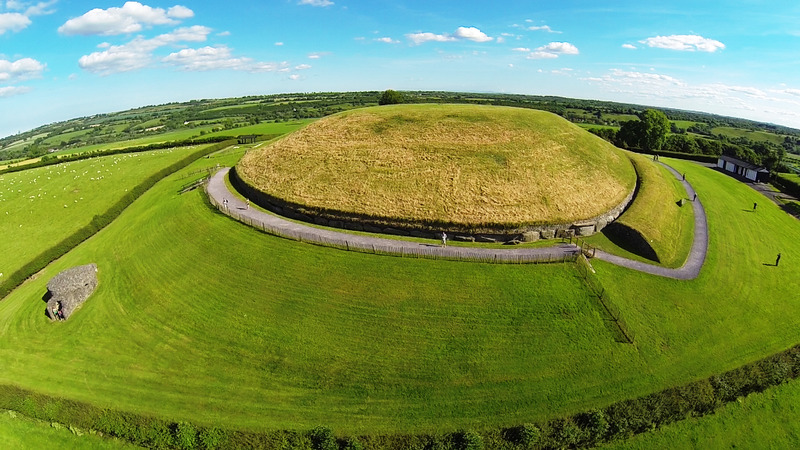 The kidney shaped mound is ringed by “Kerbstones” engraved with artwork, and covered an area of more than one acre. 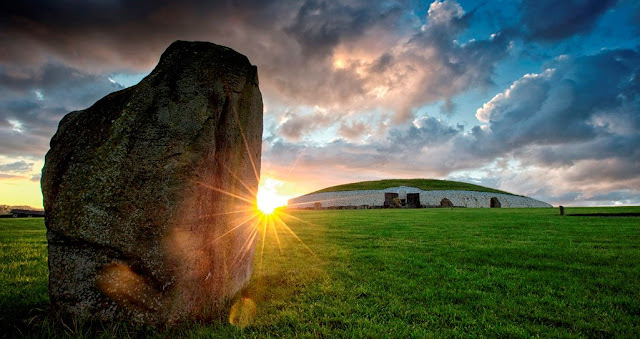 The exact purpose of Newgrange is not confirmed, but speculated that it had been used for religious activities, aligned with rising sun, which lights passes through the chamber on the winter solstice. 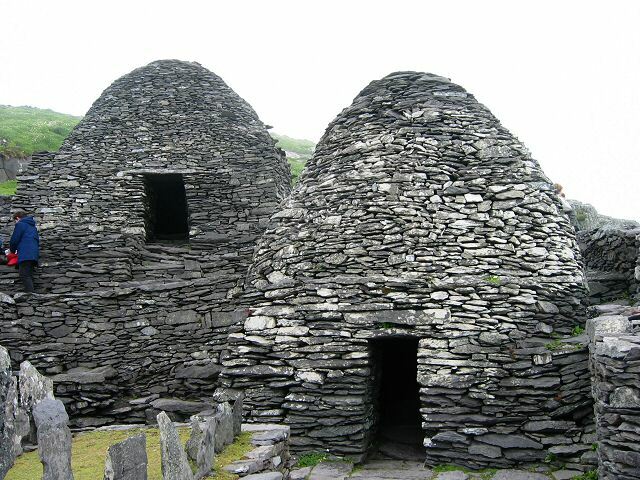 Therefore, may be more fitting classification, a place of astrological, spiritual, religious and ceremonial importance. The Newgrange is relatively a modern name, which means New Grange, as outlaying farms were recognized known as granges. 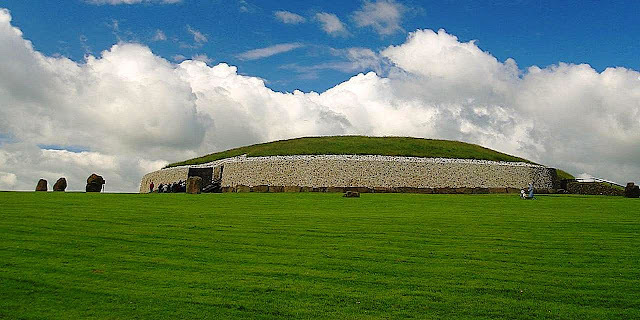 The Newgrange is the most famous monument which is a part of the Brú na Bóinne UNESCO World Heritage Site, having great similarities with other Neolithic constructions in Western Europe, just like “Maeshowe” in Orkney, Scotland and the “Bryn Celli Ddu” in Wales. Majority of Neolithic people were farmers, growing crops, and raising animals, and their tools would have been made out of stone, wood, antler, bones. 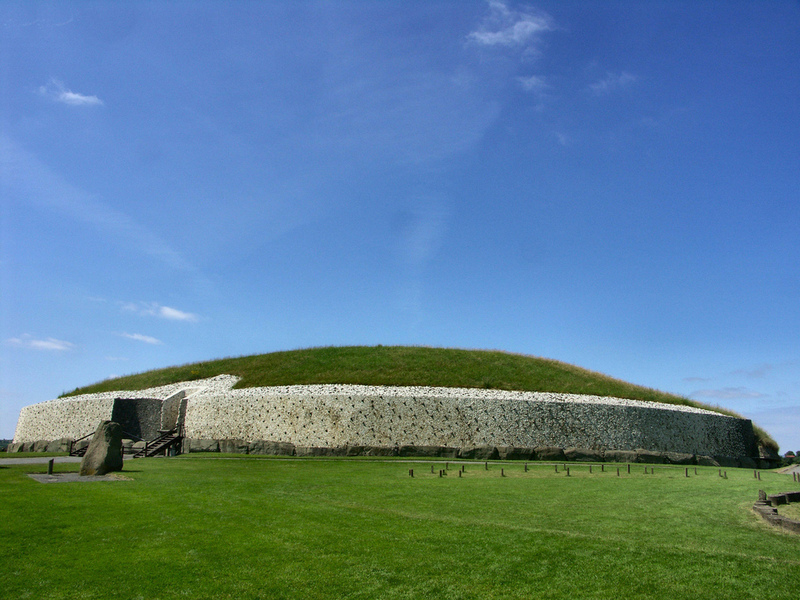 It is projected; more than 300 labor force participated in the construction of Passage Tomb at Newgrange for 20 years. 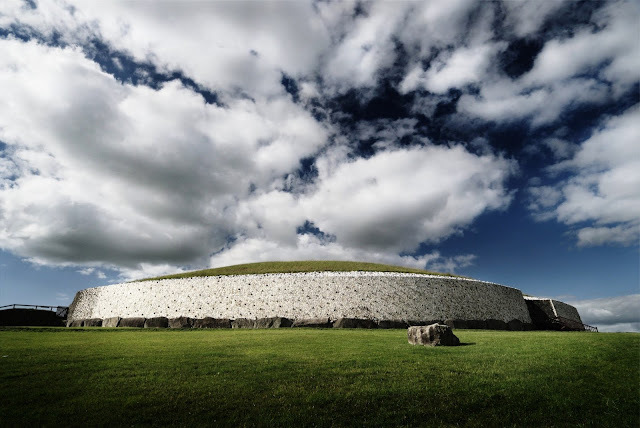 However, Newgrange is just a passage tomb and was sealed for many centuries and remained in Irish mythology and folklore. In 1970’s the front of monument was reconstructed, causing a lot of controversial buzz and disputed. 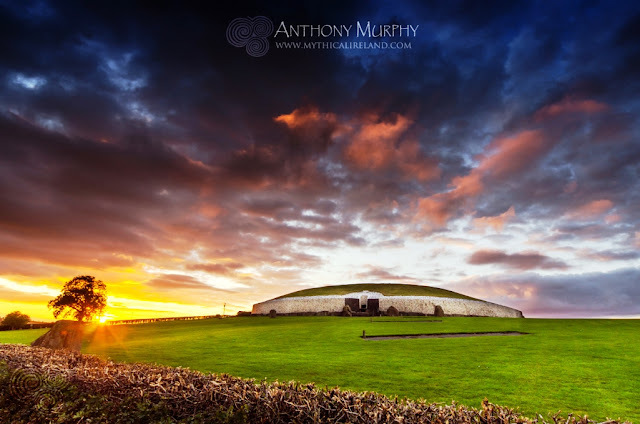 These days, Newgrange is one of most popular tourist site, regarded prehistorian as the great national monument and one of most prominent megalithic structures in Ireland and Europe. 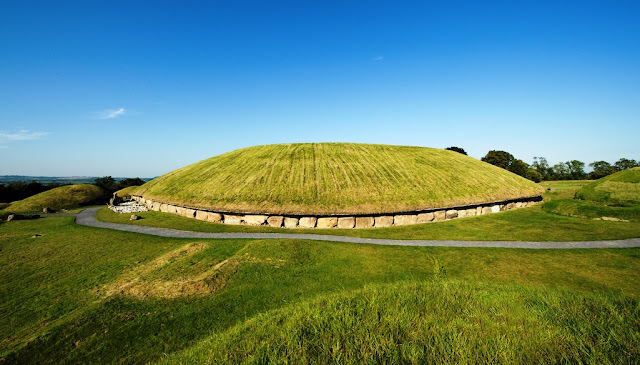 There are few proofs that Newgrange was used as a burial tomb, and roof of the inner chamber is of corbelled construction, it hasn't leaked in 5000 years. 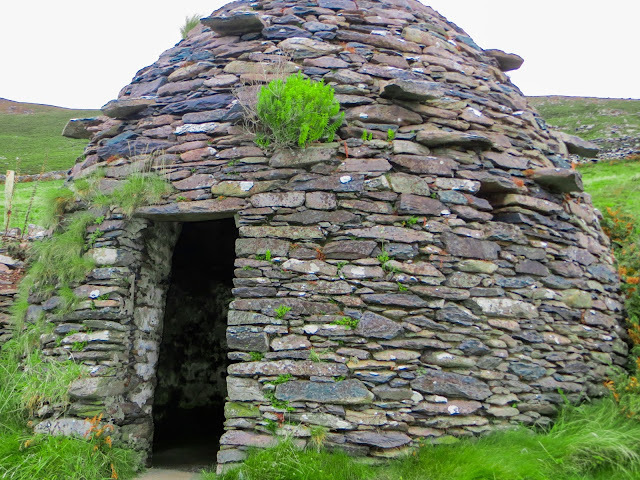 The estimated weight of circular is more than 200,000 tonnes in total; with a flat topped cairn is almost 0.5 hectares. 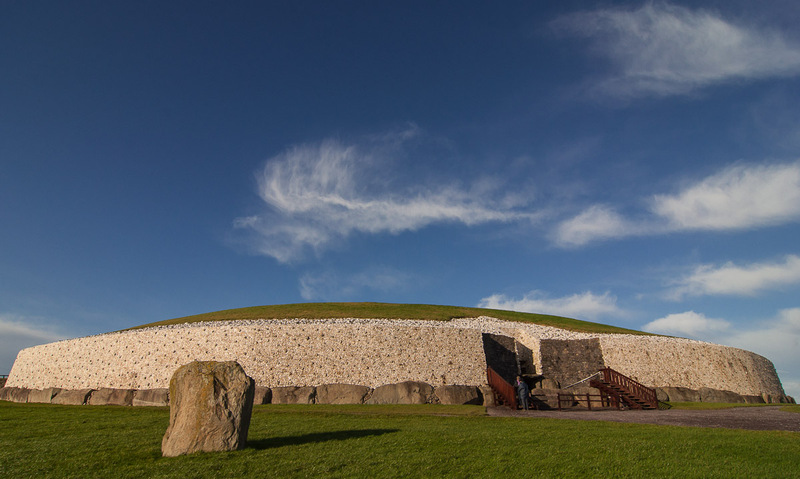 The Newgrange is made up of water-rolled stones, the terraces of the River Boyne and round granite boulders from the Mourne. 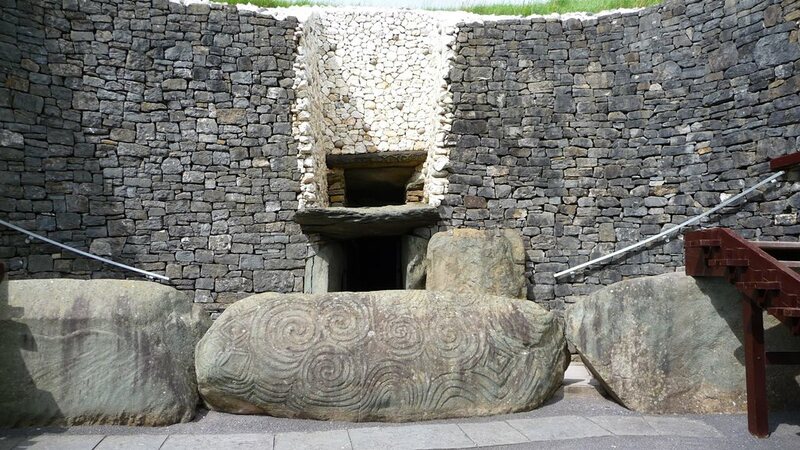 Newgrange contains various examples of abstract Neolithic rock art carved onto it which provide decoration They are also marked by wide differences in style, the skill-level, and one of the most notable examples of art at Newgrange is the triskele-like features found on the entrance stone. 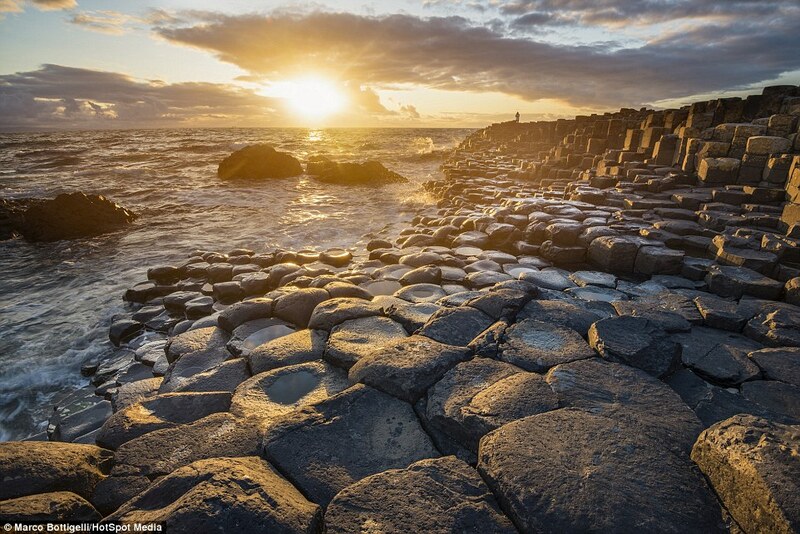 It has been described as "one of the most famous stones in the entire repertory of megalithic art. In addition, different archaeologists have guessed as to the meaning of the decoration, supposed them to have some sort of symbolic purpose, as some of the carvings had been in places that would not have been noticeable, such as at the bottom of the orthostatic slabs below ground level. Moreover, excavations have revealed deposits of both burnt and unburnt human bones in the passage, signifying human corpses were actually placed within it, even some of which had been cremated. Besides, various grave goods were deposited alongside the bodies inside the passage. Furthermore, excavations which were taken place in the late 1960s revealed seven “marbles”, four pendants, two beads, a used flint flake, a bone chisel and fragments of bone pins and points. A Clochán is a dry-stone hut with a corbelled roof, usually associated with the south-western Irish seaboard. 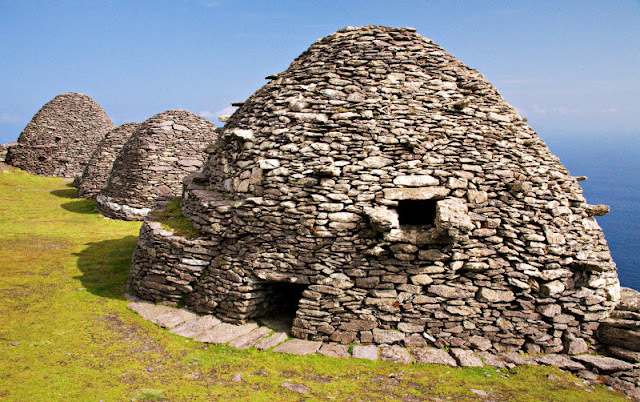 In Irish the name clochán, is given to these structures, derived from the word “cloch”, a stone, it reflects the fact that they’re constructed wholly from stone without the use of mortar. 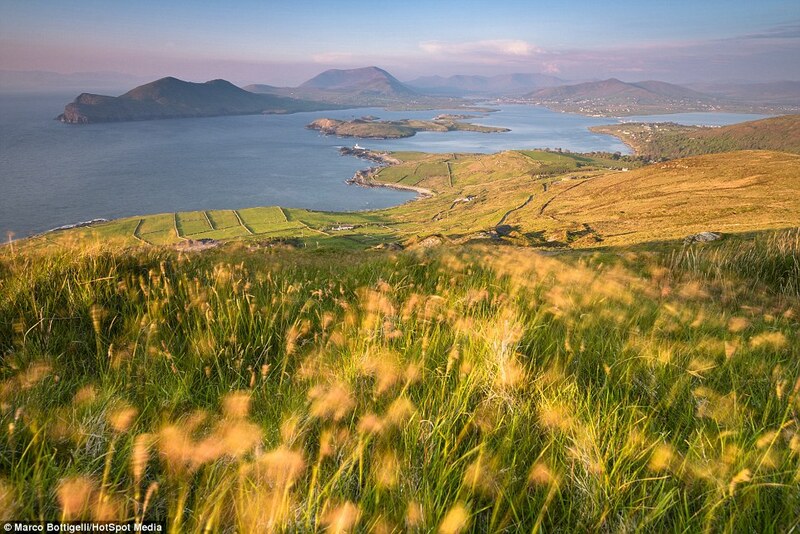 Clochans are mainly found in the Southwest of Ireland, in the Dingle Peninsula of County Kerry. 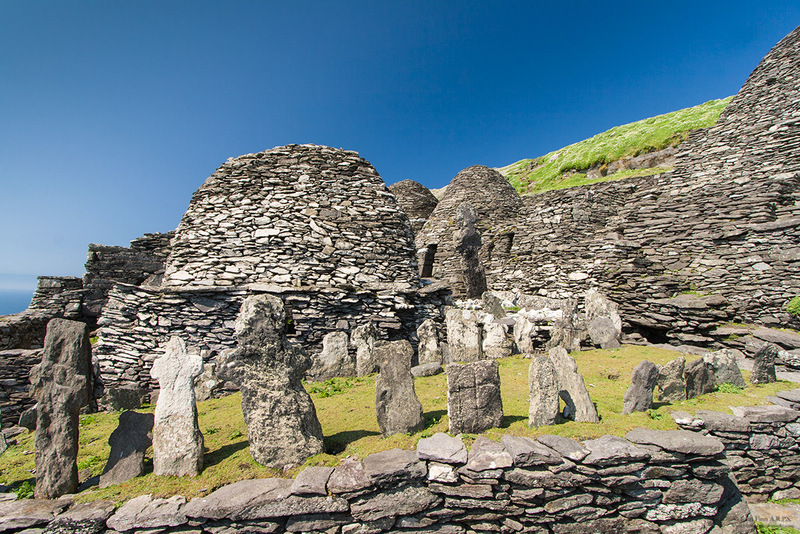 Several occur in religious contexts such as used by the monks successors carried on the architectural tradition in the Scottish Isle of Iona. These are amazing huts built each layer of stone inward just enough to close the top with a single stone to see how the natives of Ireland lived merely a few hundred years ago. 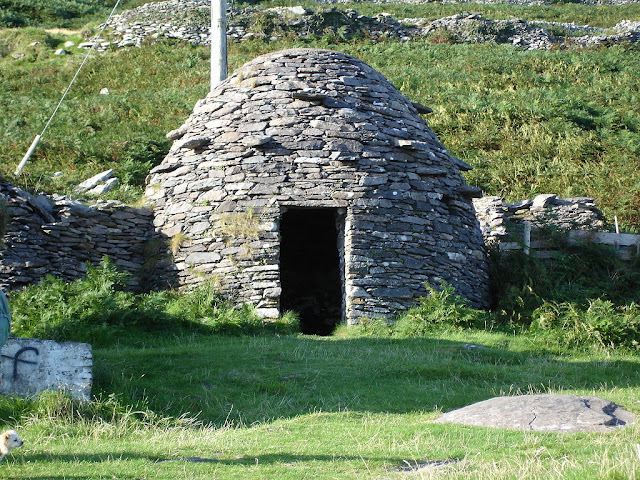 These were some hearty folk who lived in these stone enclosures tending to their sheep and potatoes. 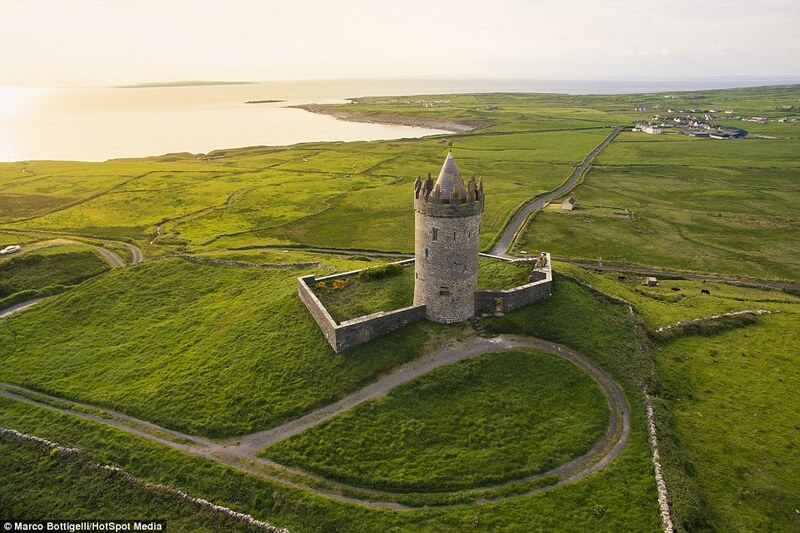 This will completely understand why so many emigrated given the chance in the 19th Century. According to archeologist the exact construction date of these structures is unidentified with any degree of conviction. No direct evidence to date any of these buildings before the 8th century. Whereas some connected with religious sites may be pre-Romanesque, considers most to date after the 12th century, including up to the 19th century.